Come the end of May, approximately 10,000 participants from across the globe are expected in Miami, Florida to participate in the World OutGames to share in a 10-day program of sports, culture and human rights. From May 26 to June 4 this year’s event offers 34 different sports and more than 450 events that span those three areas of interest. An important focus of the OutGames that sets it apart from other LGBTQ international sports gatherings is its human rights emphasis, its determination to open people’s minds with compelling and current insights about the LGBTQI community from global thought leaders. While it includes a large sports component, the three-day World OutGames human rights conferences are not restricted to sports issues, however. 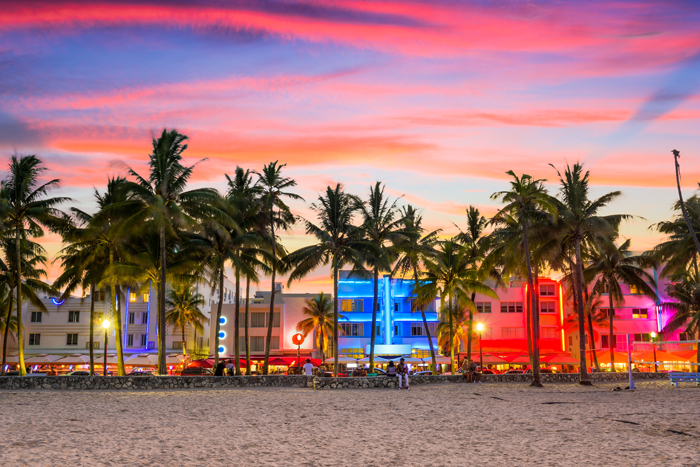 In keeping with the theme for Miami’s OutGames – ENERGIZE YOUR BODY, EXPAND YOUR HEART and IGNITE YOUR MIND – program tracks include: promoting inclusivity in sports; health and wellness; and global social justice. It was recently announced that the organization has joined forces with the International Institute on Race, Equality and Human Rights (IIREHR) in support of the World OutGames Global LGBTQI Human Rights Conference. Their support will aid in developing the exchange of ideas with distinguished panelists from around the world. Dr. Cecile Houry of Florida International University speaking on “American Women and the Modern Summer Olympic Games: A Story of Obstacles and Struggles for Participation and Equality” as part of the Promoting Inclusivity in Sports program track. * Also speaking as part of the Health and Wellness program track is Marthe Djilo Kamga from Belgium. Online registration at outgames.org is available now to participants and the registration package includes admission to the opening and closing ceremonies, access to OPEN sports and culture events, access to the Festival Village and much more. In addition to the support of the IIREHR, World OutGames Miami is made possible through the support of the Florida Sports Foundation, Greater Miami Convention & Visitors Bureau, Miami Beach Visitor and Convention Authority and Miami Sports, Miami Dade County Department of Cultural Affairs Council, the City of Miami Beach, the Miami Dade County Mayor and Board of County Commissioners.